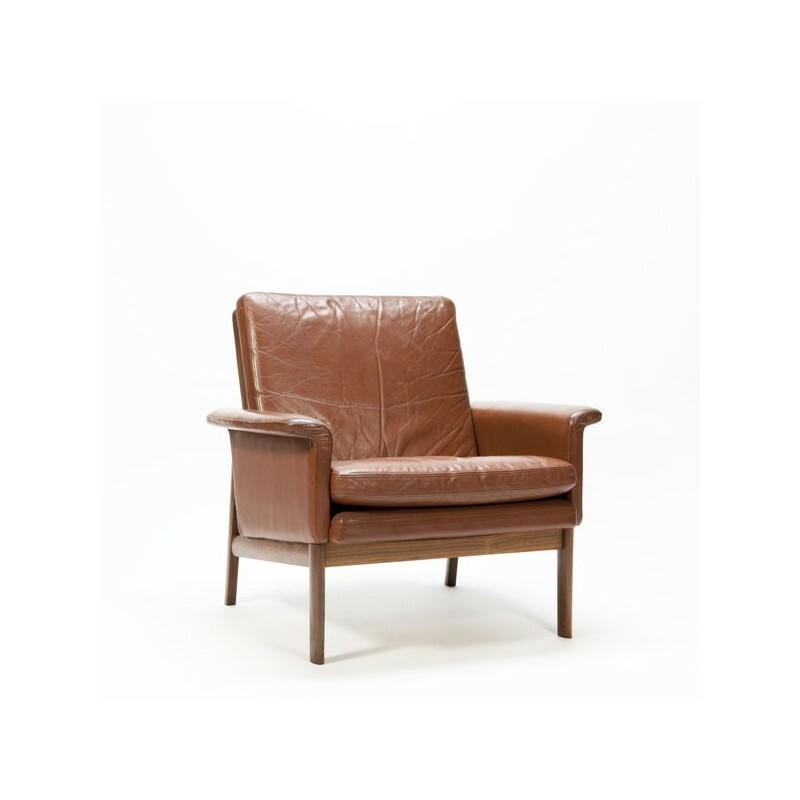 Beautiful design chair, # 218 Jupiter. 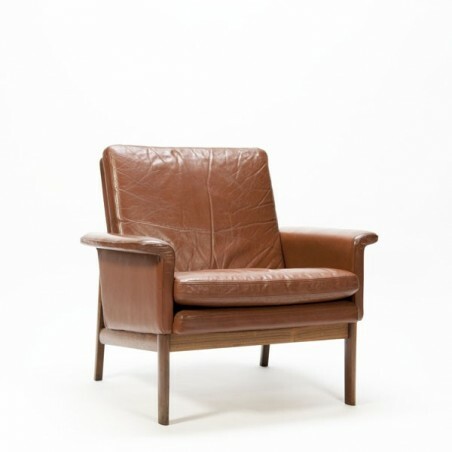 Designed by the Danish designer Finn Juhl in 1965. 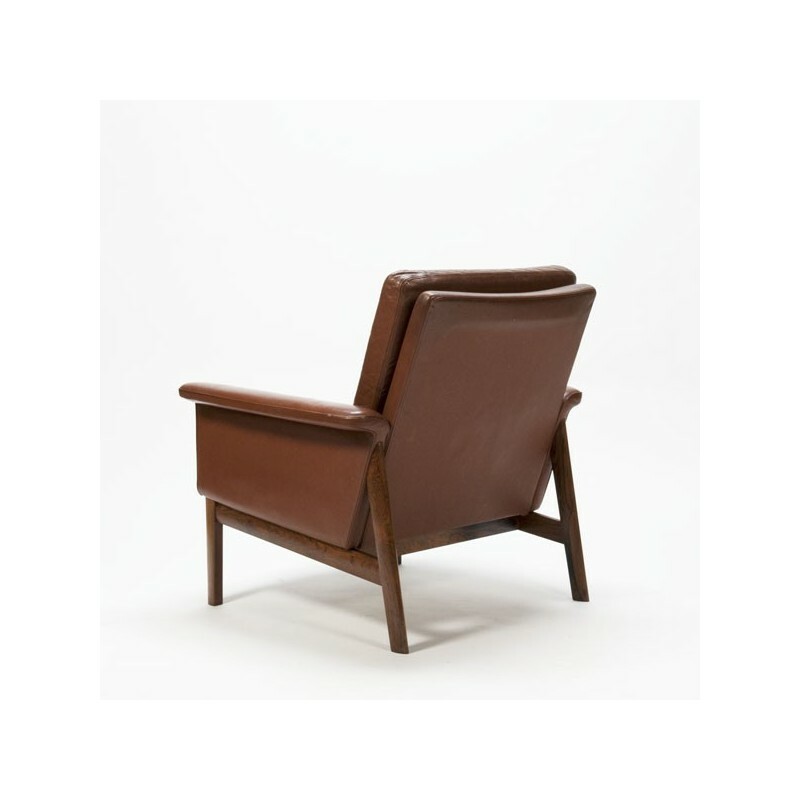 The chair was manufactured by France & Son, Denmark. This model has a low back, also called the women's model. Made in cognac-colored leather and rosewood. The condition is good considering the age, light traces of use, also see the detailed pictures. 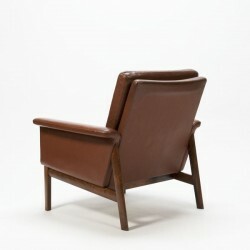 The size is 84 cm wide, 75 cm deep, 42 cm seat height and 78 cm high.